The hit top-down arcade zombie shooter Yet Another Zombie Defense HD is coming to Switch, Awesome Games has announced. A release is planned for April 5. Yet Another Zombie Defense HD is a top-down arcade zombie shooter with tactical and strategic elements. Prepare yourself before nightfall by building defensive barricades, buy guns and ammo, and set up turrets, then stay alive for as long as you can. Each night will put your skills to the test as the zombie forces become stronger with each wave. Make your death memorable as you shoot your way to a glorious end! The game is all about defending yourself against the dark hordes that attack you every single night. You know it’s a lost cause – the undead horde is overwhelming and sooner or later your time will come. So, if you’re gonna go, go out in style, and leave behind piles of butchered zombies before they murder you! There’s just one thing that matters – how long can YOU survive? 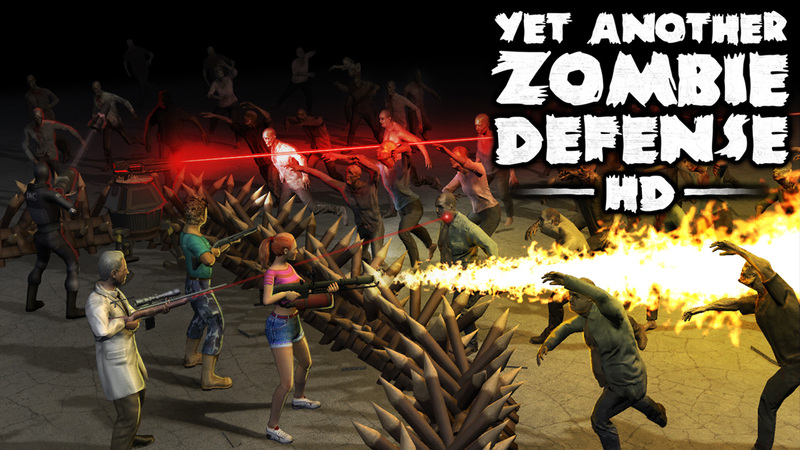 Yet Another Zombie Defense HD will be up for pre-order on the eShop starting March 27 with a 10% discount. The game is priced at $4.99.